“Those were good times, the years in Bern”, so said the legendary physicist Albert Einstein of his seven years in the Swiss capital. 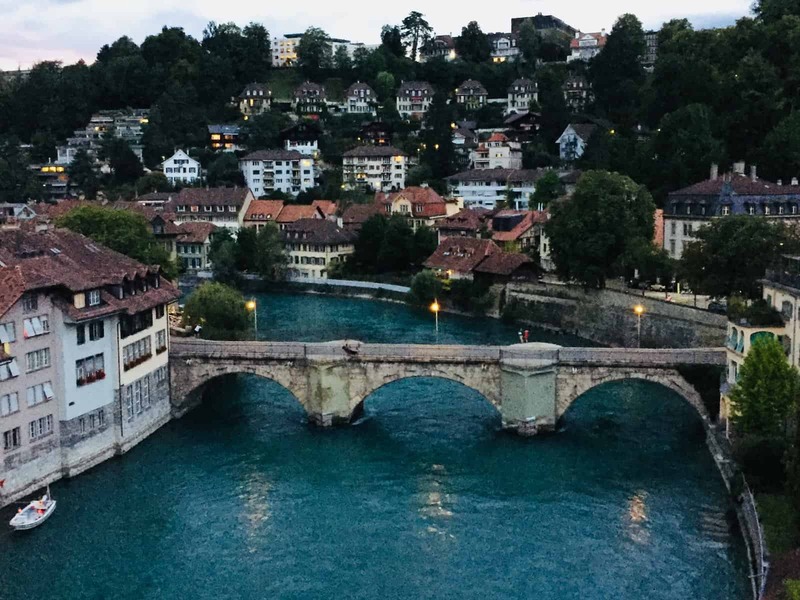 Einstein is not the only famous or noteworthy person connected to this Swiss canton (others include the Nobel Prize winner, Emil Kocher, and the Bond actress Ursula Andress). However, he is the one that the city – understandably – is most proud of, for it was in Bern that he first sowed the seeds for his famed work on the General Theory of Relativity. 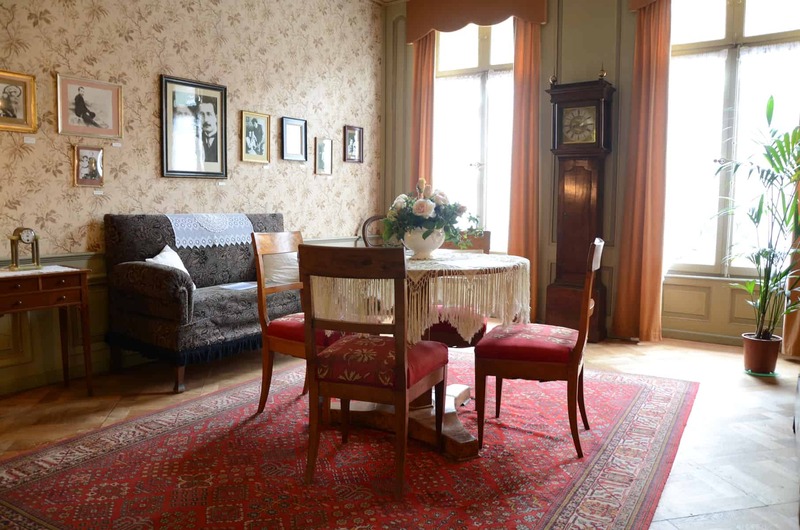 You can learn about Einstein’s time in the Swiss capital in two places: in the Bern Historic Museum – (which also has other more ancient history exhibitions to view), and from a visit to Einstein’s house. 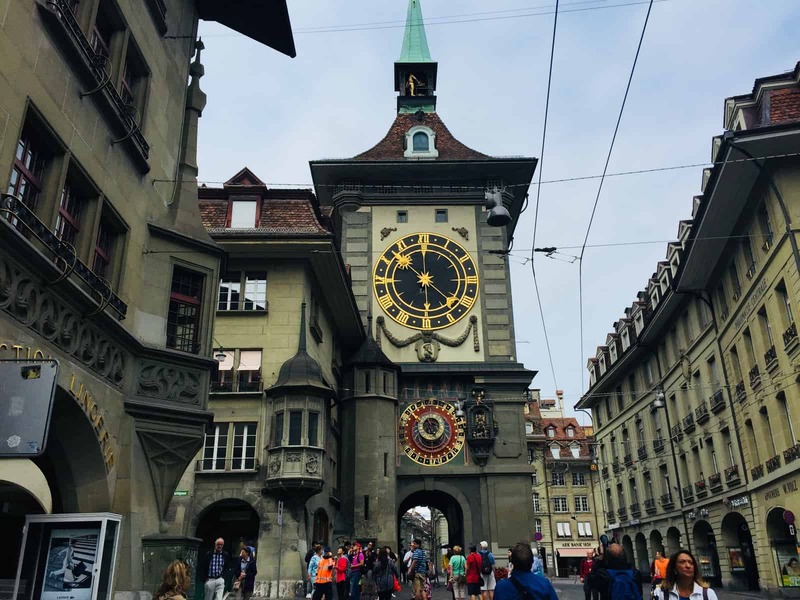 As Bern is small – unusually so for a capital city – both can be fitted into a short trip. We chose to focus on Einstein’s house and the museum that is housed there. 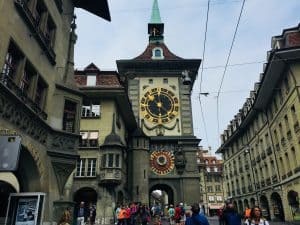 This is centrally located on the medieval Kramgrasse street and just a stone’s throw away from the clock tower (Zytlogge), another must-see sight in Bern. 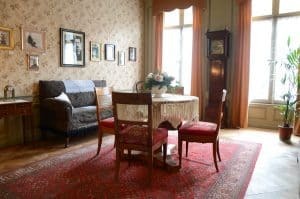 Einstein’s house is very small (so I’d recommend trying to get there early as it’s easily crowded with just a few people) and is spread out over the flat that Einstein once occupied with his wife, Mileva Maric, herself a promising physicist from Serbia. It has a large selection of exhibits and photographs from the couple’s life together which on the first floor are displayed around the flat as it presumably was laid out at the time: a small table in the middle of the room where the family would have eaten, chairs for relaxing in, a writing bureau, and a cabinet housing a tea service and coffee pots; all are overlooked by fascinating old photos of the family that hang on the walls and that depict different chapters of their life. Upstairs, there is an informative short film, drawing on archive footage, that charts Einstein’s life from his early days through to later years, and that really brings alive the life of the man – this is essential viewing. The museum is interesting on two levels: firstly, for what you learn about Einstein’s great work and the foundations for this – his first job was with the Swiss Patent Office which he held down whilst simultaneously writing his scientific papers (which included the forerunner to his work on the theory of relativity and another which won him a Nobel Prize in 1921). He then moved into academia at the University of Bern before moving to Zurich, with other stints in Prague and Berlin, before ending his life in the United States. It’s also interesting for the insight it gives you into the personal life of Einstein; I found this utterly engrossing – we all grow up knowing that Einstein is significant for his scientific work and discoveries; what we know less about (or certainly I knew less about) are the life stories running alongside in the background. Much of this revolves around Einstein’s personal relationships and the consequences of these, some of which were very sad (for example a child born out of wedlock and a second relationship while still married). He married Mileva Malic in 1903, but had in fact had a daughter, Leiserl, with Mileva the previous year. Leiserl was born in Mileva’s home country of Serbia and left to grow up with her grandparents, presumably because she was illegitimate. According to the museum exhibition, Einstein himself never met his daughter and her sheer existence was kept secret during his lifetime; to this day what happened to Liserl is a mystery. Mileva and Einstein went on to raise two sons, Hans Albert and Eduard, and remained married until 1919 when Einstein remarried – to his cousin, Elsa Lowenthal who it seems he had forged a relationship with some time before his marriage to Mileva formally dissolved. The museum also tells the story of Einstein’s move to the USA, coinciding with the rise of the Nazi party in Germany and the difficulties that this presented to him, notably the impossibility of working there as a German Jew (scores of Jewish academics were being forced out of work, Nazi book burnings were taking place, and Einstein was vocalising his views on the treatment of Jews within Germany). He took up a role at Princeton University and it is there that he remained until his death in 1955. Although the museum is only small, you can learn a great deal in a short time, some of it possibly unexpected: whilst I went to hear more about Einstein’s famous work, I came away with a longer lasting impression of his personal life and with an equal admiration for his wife and all that she went through during her time with him – a child given up, a broken marriage and the forfeiture of her own academic ambitions. And it seems that Mileva may have been important not only for her support of Einstein’s ambitions, but more directly for her role in actually furthering these – indeed, some think that letters between the couple show that she contributed in the early days to Einstein’s ground-breaking work and that her own expertise in physics is reflected in some of his work. So, in addition to learning a lot about Einstein himself, I learnt a lot about the wife of one of the world’s greatest scientists and came away with a real sense that the adage about there being a great woman behind every man was really true of Mileva. There is much to do here on a short weekend break. Aside from the history museums, there are a wealth of museums to visit, including a fine arts museum, a communications museum and a Swiss alpine museum – see http://www.museen-bern.ch/en/ for further information. The city – which is closer in size to a large town and is a UNESCO World heritage site – is a wonder to potter around. The main street that runs the length of the old town is the Kramgasse which means “Grocer’s Alley”. There are long covered alleyways with small boutique shops under arches, and a smattering of cosy cafes and bars underneath in the basements (which would be perfect in the cold winter months). The street itself is largely devoid of traffic and is interspersed with a number of ornate and colourful – and quite unique – fountains. The Rosengarten – a beautiful, peaceful park overlooking the city from across the meandering Aare river, is a must visit – the views across the river and towards the old town are a delight. There is a wonderful restaurant and bar here, with plenty of outdoor seating from where you can take in these views. This would be a great place to book for a special night out. Take a walk down the slope towards the river and wander across and the road and you come to the Altes Tramdepot bar and restaurant – a reasonably priced eatery, also with great views, and housed in a defunct tram depot and brewing its own beer on site. The Altes Tramdepot is right next to the Bear Pit and Park – where, if you are lucky, you can catch several large brown bears, who live in an enclosure, a homage to the bear being the symbol of Bern; look up and it can be seen all over the city, most notably on the numerous flags flying from the old medieval buildings. Getting there: Although Bern has an airport and you can catch flights here from various cities in Germany, and also others such as London (City airport), Vienna and Palma, it is smaller than both Geneva and Zurich airports that have more regular flights. 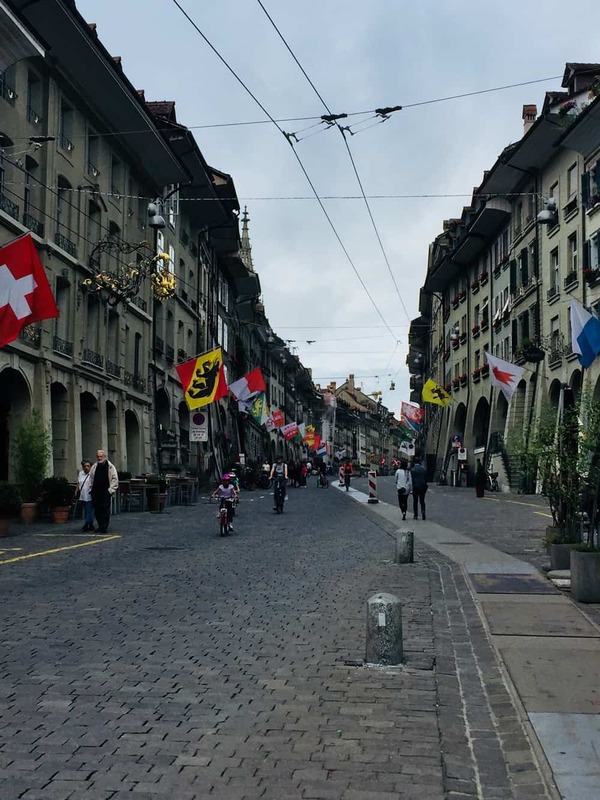 Bern is just over an hour via train from Zurich airport and around two hours to Geneva airport. I much enjoyed this article, thank you Emma! 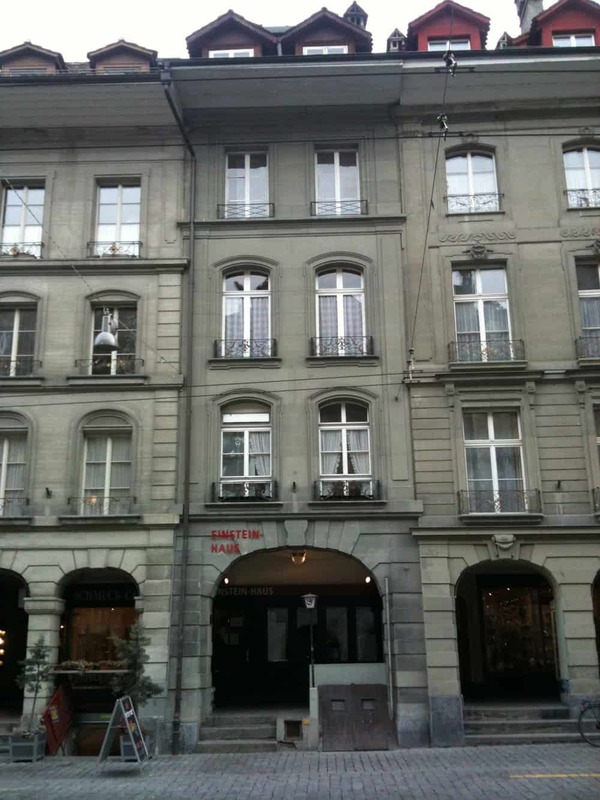 I grew up in Switzerland (albeit not in Bern), and I never knew we had an Einstein museum. 🙂 It’s great that they’re giving Mileva the space and perhaps even recognition she deserved, too. Women’s contribution to the great endeavours in history is so often overlooked and buried!